Scientists from the University of British Columbia (UBC) and McMaster University say they have developed what could be new bone implant material: a foamlike substance that can be injected into the body and provide scaffolding for the growth of new bone. It’s made by treating nanocrystals derived from plant cellulose so that they link up and form an aerogel that can compress or expand as needed to completely fill out a bone cavity. For their research, the team worked with two groups of rats, with the first group receiving the aerogel implants and the second group receiving none. Results of the study (“Cross-linked cellulose nanocrystal aerogels as viable bone tissue scaffolds”), published in Acta BioMaterialia, showed that the group with implants saw 33% more bone growth at the 3-week mark and 50% more bone growth at the 12-week mark, compared to the controls. “Chemically cross-linked cellulose nanocrystal (CNC) aerogels possess many properties beneficial for bone tissue scaffolding applications. CNCs were extracted using sulfuric acid or phosphoric acid, to produce CNCs with sulfate and phosphate half-ester surface groups, respectively. Hydrazone cross-linked aerogels fabricated from the two types of CNCs were investigated using scanning electron microscopy, x-ray micro-computed tomography, x-ray photoelectron spectroscopy, nitrogen sorption isotherms, and compression testing. CNC aerogels were evaluated in vitro with osteoblast-like Saos-2 cells and showed an increase in cell metabolism up to 7 days while alkaline phosphate assays revealed that cells maintained their phenotype. 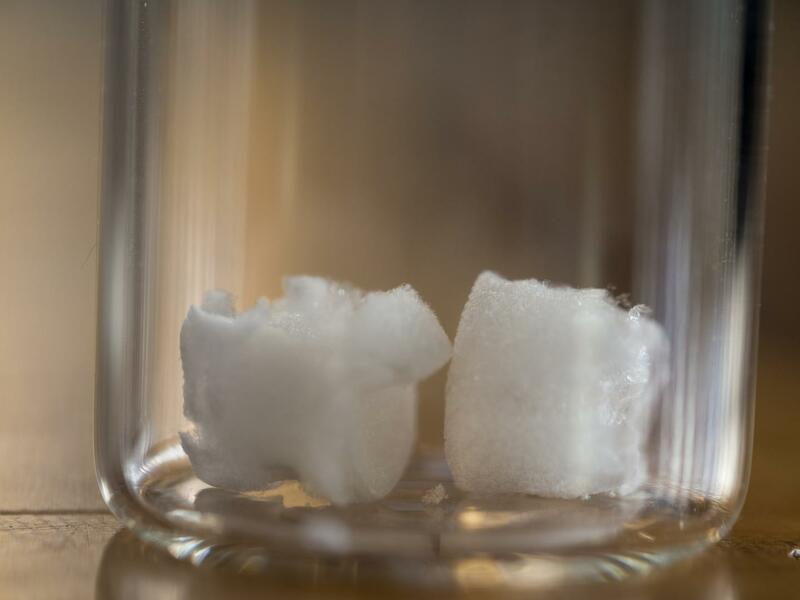 All aerogels demonstrated hydroxyapatite growth over 14 days while submerged in simulated body fluid solution with a 0.1 M CaCl2 pre-treatment,” wrote the investigators. 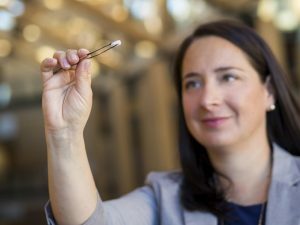 “These findings show, for the first time in a lab setting, that a cellulose nanocrystal aerogel can support new bone growth,” said study co-author Emily Cranston, PhD, a professor of wood science and chemical and biological engineering who holds the President’s Excellence Chair in Forest Bio-products at UBC. She added that the implant should break down into nontoxic components in the body as the bone starts to heal. The innovation can potentially fill a niche in the $2-billion bone graft market in North America, said study co-author Kathryn Grandfield, PhD, a professor of materials science and engineering, and biomedical engineering at McMaster who supervised the work.